50 pin screw terminal block. Standard high density 50 pin SCSI-2 connection breaks out to 50 screw terminals. 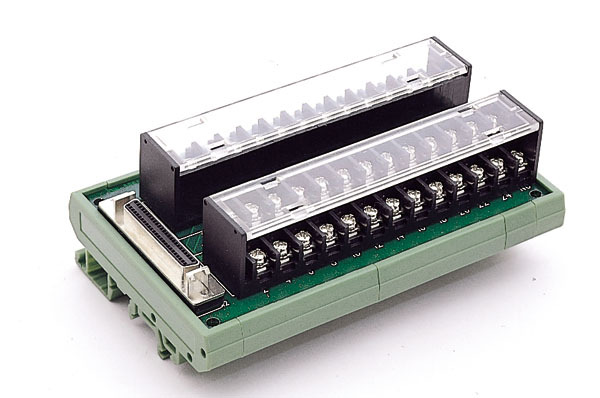 Can be used on a DIN rail. Includes ACL-10250 SCSI-II cable.